I am still so thankful — make that THANKFUL — to be home, God. I had 11 hours of sleep the first night home and am functioning pretty well. Back on my “right eating” plan after ENJOYING the whole grain soda bread and the butter of Ireland. Ah, but home involves VEGETABLES — three every night for dinner. Hard to beat vegetables — I only wish mine were from my own garden. Hmmm. OK, You’re right, God. I would probably only enjoy that if I had a gardener. For all my talk of closeness to the earth — a pot of oregano and pots of palms and anthuriums are pretty much it for me. 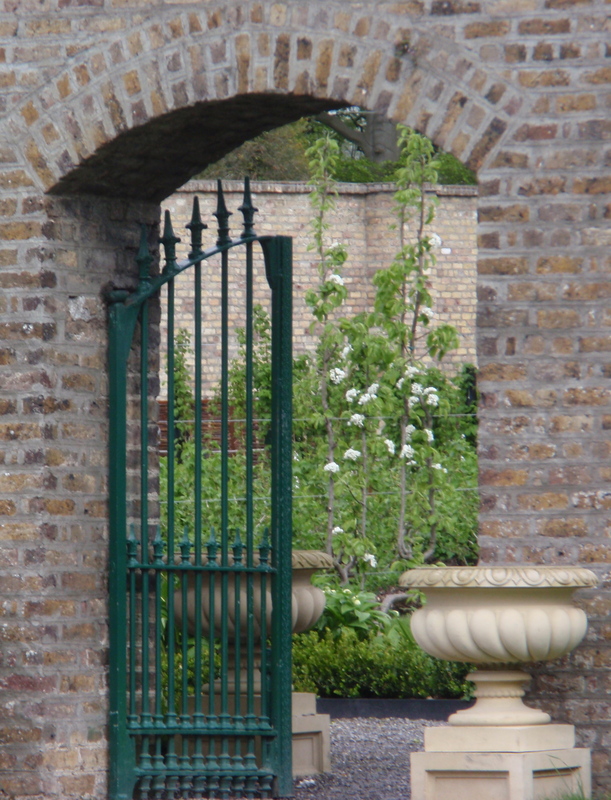 Still, there is something so delightful about gardens — walled gardens, especially. I love doors — how much better a garden gate. It’s fun to think of Each DAY as like a walled garden. We enter it and it is ours. We can plant new activities in it — or perhaps work on weeding out old dead wood — old habits and old thought patterns. I like that idea, God. And I like the idea that we can walk with You in our garden — Adam and Eve may have been removed — but You still long to commune with us. It isn’t a matter of being Worthy — more a matter of being WILLING. And I am beginning to understand that means Willing not just in theory but in responsiveness. Letting You guide my eating and my sleeping — and nudging me toward reaching out to affirm my fellow children. You have given me such a good home and such good friends and family. How can I not affirm? Hmm. Easy enough when I am too busy — think I’ll STOP for a rest! Thank You for inviting us in to Your Garden, Earth. Posted in appreciation, responding to God's Spirit, responsibility, stopping, thankfulness, Thanksgiving!